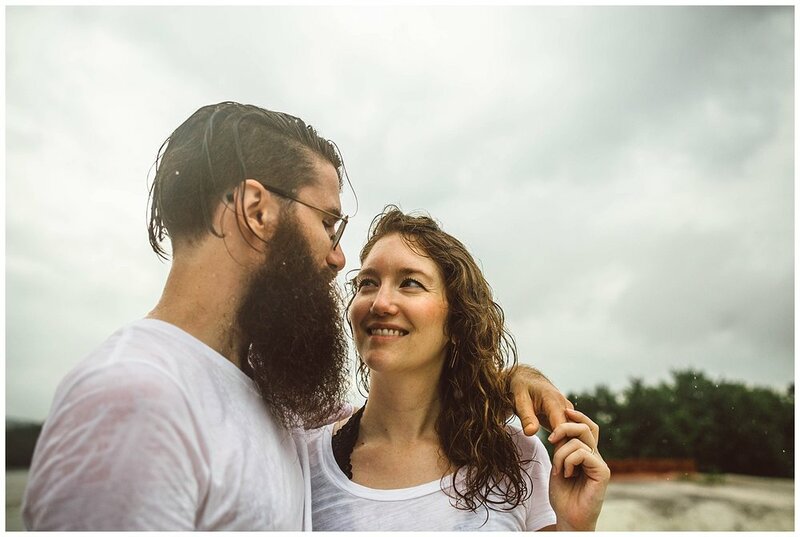 For quite some time I had been wanting to photograph a couple in the rain. Why? 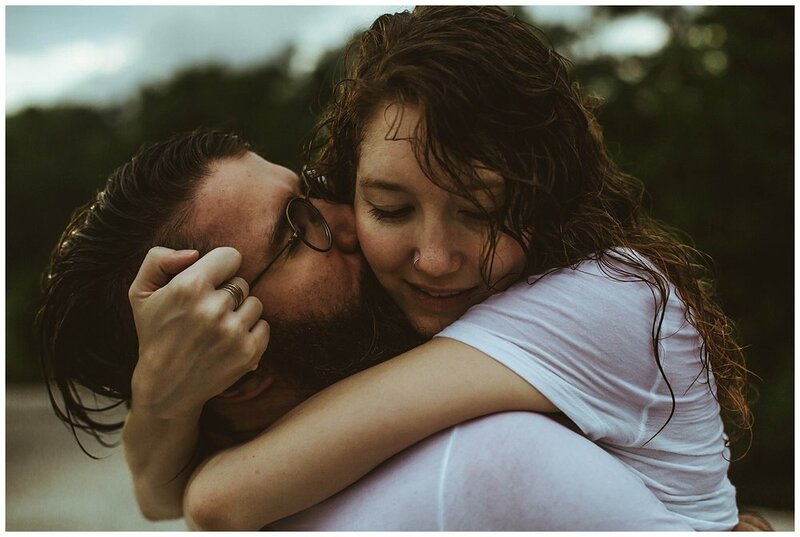 I feel like capturing two people in the rain really shows what fearless love looks like. So I did the best thing I could, reach out on Instagram to find a couple. Little did I know I would find one of the sweetest and most rad couples ever in Chad and Lisa. We walked the short trail to the cliffs while the rain was coming down heavily. The rain eventually slowed down, and that's when the magic happened.